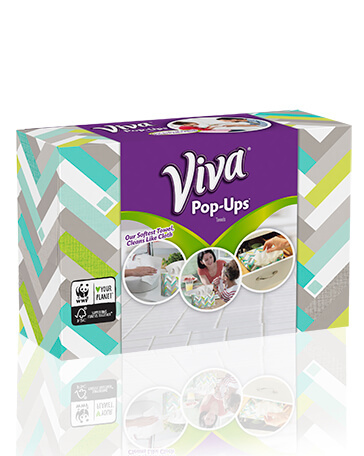 Make everyday cleaning easy with Viva® Pop-Ups™. Get a soft and strong cloth-like towel in a convenient, stylish pop-up box. Rated 5 out of 5 by Char Keenan from So convenient!! Love this new product! Love Viva towels & they can't get any easier to use than to have them right at your finger tips & ready to use. Have several boxes in different areas of my home, makes clean ups super quick & easy!! Thank you Viva! !